The popularity and scope of binary options has grown considerably since becoming widely available for retail trading on online trading platforms. In addition to currency pairs, binary options can now be traded on many major world indexes, commodities such as oil, gold and silver, and the common stocks of many international corporations. 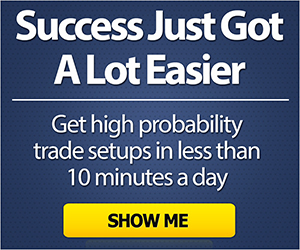 The binary option is called “binary” because there are only two possible outcomes to a trade: win or lose. This means that the asset upon which the option is purchased must achieve a certain price or exchange rate level for the trader to collect their winnings, or conversely they will lose their entire investment or get just a consolation payoff if they were wrong. Forex binary options are similar to normal forex options in that they have an expiration date and a strike price. Furthermore, forex binary options do not generally contain an early exercise clause like American style forex options that can be exercised at any time prior to expiration, so they are more like European style forex options that cannot be exercised early. Much like when purchasing regular put and call options, the maximum potential loss on a forex binary option is known in advance since any loss incurred by the trader is limited to the amount the forex binary option cost to buy. In the retail market, forex binary options are generally offered with rather short expiration times that range from weekly, daily or even intraday expirations that expire every hour. Daily expirations may occur at set times throughout the day, while weekly binary forex options generally expire on Friday afternoons. Call/Put Binary Option – Also called Up/Down or High/Low options, this type of binary is the most basic and simply requires that the trader accurately predict whether a particular exchange rate will be above or below the strike price by a certain expiration time. One Touch Binary Option – A one touch forex binary option’s payoff is either triggered or cancelled when the exchange rate reaches a certain level during the time prior to expiry. The trigger price and effect is determined and set by the trader prior to executing the option trade. In/Out Boundary Binary Option – Also known as a Range Binary, this type of forex binary option has two exchange rate levels that define a range that the currency pair’s exchange rate must either remain within or fall outside of at expiration to generate a favorable payout. These options can also be structured to have one touch boundaries that result in an immediate payout or cancellation when triggered. Binary options may be more expensive to trade than regular leveraged forex positions, and they generally offer a lower payout than if one was trading directly in the forex market with a winning position. Nevertheless, the level of risk involved in trading binaries seems much lower in comparison to spot forex trading, especially if the foreign exchange market is very volatile, wherein the risk of stop loss order slippage is high. Forex trading can be extremely intense and requires much of a trader’s attention, while with binary options, it is just a matter of picking a time and an exchange rate level, and then waiting until the expiration time to see if the trade either won or lost. As a result, the trader typically has a much lower level of emotional involvement invested in the trade. One of the main disadvantages to trading binaries versus forex is that you often cannot just cut your losses if you see the market heading in the opposite direction since transaction costs are typically substantial — if you can even obtain a price to unwind the option. Nevertheless, a number of binary brokers offer traders variable payout options that will allow the trader to obtain a modest consolation payout even if the option expires out of the money. Binary option market participants include financial institutions, forex brokers and hedgers and a significant percentage of individual forex speculators. In addition, binary option brokers and market makers are a major participant in the forex binary option market. High net worth traders can sometimes access the binary option market directly by requesting option prices from the dealing desks of over the counter market makers working at major international banks. Such traders often have much more flexibility in the types of binary options they can trade and usually dictate their option contract parameters in order to transact binary options customized to their market views. A limited number of forex binary options can also be traded on exchanges such as the North American Derivatives Exchange or NADEX, which is fully regulated by the Commodities Futures Trading Commission (CFTC) in the United States. Despite the availability of those choices, most retail forex traders will need to open an account with an online binary option broker to have the opportunity to trade binary options. They will also typically need to choose from a limited selection of binary options with fixed strike prices and expiration times rather than being able to ask for a binary option price with specific customized parameters like the OTC traders can. The retail binary option market currently boasts a plethora of binary option brokers that generally provide access to the market via their Internet based trading platforms. The key to choosing a good broker is to assess: (1) the safety of your deposited funds and your ability to withdraw funds, (2) the broker’s regulatory environment and reputation, and (3) whether they offer binary options on the assets you wish to trade that are suitable for your trading strategy. When dealing binary options over the Internet, you will need to employ a binary option trading platform. These platforms generally consist of downloadable or web-based programs or apps that allow you to execute binary option trades. All of them require access to the Internet for a trader to enter binary option transactions. Some of them run on your desktop or laptop computer — either as a stand-alone, downloadable program or within your favorite web browser — while the mobile apps will operate on an Android or Apple iOS mobile device and allow binary option trading while on the go. Trading Interface – Look for an interface that is intuitive and simple to use. Those who speak a language other than English may wish to have a platform that supports multiple languages. Multiple Asset Trading – Make sure your trading platform offers a significant number of underlying assets that you can trade binary options on. For example, look for a platform that supports forex currency pairs, commodities like precious metals and energy products, and important stocks and market indexes as this can help you improve your trading profits via multi-market analysis and diversification. Expiration Times – Your chosen binary trading platform should support both hourly and daily expiration times suitable for short or longer term trading strategies. Maximum Payout Percentages – Look for a 75 to 90 percent payout rate on successful binary option trades, as well as a payback on unsuccessful trades in the 5 to 10 region so that you do not lose all of your investment in a trade if your market view turns out to be incorrect. Minimum Initial Deposit – Check out the minimum amount the broker is willing to accept to open an account and what sort of registration fees might be incurred when signing up for a new binary option broker account. Bonus Amounts – Many binary option brokers offer bonuses to traders that are sometimes as high as 25 percent, so be sure to check what bonuses are available and what you have to do to qualify for them when you sign up for an account. Payment Methods – Most binary option trading platforms offer a payment gateway that has various options for funding an account. They also usually provide a funds withdrawal interface to request the removal of funds from an account. Binary option trading platforms can be either proprietary to a particular online broker or they can be provided by a software company. The screenshot below shows the trading platform that clients of 24option.com use to execute binary option trades. Figure 1: Screenshot of the binary option trading platform provided by 24option.com showing the list of available asset classes to the left, a price chart for EUR/USD to the right and the High or Low binary option trade entry form in the center. Note that you can select from a variety of asset classes listed vertically to the left. The trade entry form appears in the center, and you can also plot price charts of the assets in a window appearing on the right. Below the trade entry box and price chart is an elongated window that can contain a list of open trades, orders, trading alerts or an economic calendar. When it comes to broker-independent binary option trading platforms, many traders like to use the SpotOption binary trading platform since it is currently reportedly supported by more than 250 different binary option brokers. This downloadable and web-based platform also offers a mobile app version, and it is quickly becoming the market standard for binary option traders in much the same way that MetaTrader dominates the online forex trading market. In addition to basic binary option trading functions, SpotOption also supports social trading via its Spot Follow feature and automated trading using its SpotWiz ability. The first thing to remember about binary forex trading is that your option trade will generally have a good return if your market view is correct, but that it will have little or no return if your market view turns about to be wrong. Accordingly, the first thing you will want to get right when trading binary options is your market view. This means you will need to educate yourself about and engage in some fundamental and/or technical analysis in order to get a good sense of the market’s future direction and the timing within which you expect a projected move to occur. Furthermore, one of the main advantages of using binary options as an alternative to the spot forex market is that you can determine your downside risk in advance since it is generally limited to the amount of premium you pay for the binary option. Using binaries therefore helps your risk management process since your option positions are not subject to potentially costly slippage that can occur when you trade forex using stop loss orders. As a concrete example, consider the situation where a trader anticipates a rise in the EUR/USD exchange rate over a specified time frame above the current spot rate of 1.0500. He could purchase a High, Call or Up at-expiration binary option struck at the present 1.0500 spot rate. In current market conditions, investing $100 in purchasing this option will offer a payout of $160 if the spot rate ends up above 1.0500 at expiration or no payout if it ends up below that strike price. If the trade goes as intended, the profit on the trade would then be $60, and the initial upfront premium of $100 they needed to pay for the binary option will represent the limited risk that they will have in establishing this bullish trading position. Conversely, they could express a bearish view by buying a 1.0500 Low, Put or Down at-expiration binary option with spot at 1.0500 for $100. If the spot rate at expiration ended up below 1.0500, then it would pay out $160, while if the spot rate ended up above 1.0500, then they would receive nothing. A successful outcome would therefore have a $60 or 60% return on the $100 invested, while an unsuccessful outcome would be limited to the initial $100 of premium paid to buy the option. Trading without a well-defined binary options trading strategy can be a recipe for disaster, as with any other type of financial speculation. Just as you should seek to develop and then employ a trading strategy for operating in the cash forex market, you will also want to plan out your trading activities when using binary options. Although many trading strategies using binary options have been devised, only a few of the more popular ones will be covered here. The first type of binary option trading strategy involves taking a view on the currency pair based on fundamental or technical analysis. This typically means either looking at trends in economic data and relative currency valuations or at price action and technical indicators — or both — to come to a rational decision about which way the market is likely to move during the time frame covered by a binary option. A bullish view on the market will suggest buying Up, Call or High binary options, while a bearish view suggests buying Down, Put or Low binaries. Another popular binary option trading strategy seems closer to the legging-in strategies used traditionally by some option traders. As an example, if the market has been moving higher, buy an Up, Call or High binary option struck at the EUR/USD spot rate of 1.0500 for $100 with a 60% payout of $160 and that pays out nothing if spot ends up below the strike price at expiration. 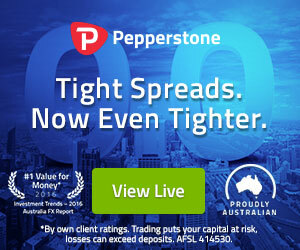 If the market moves 15 pips higher to 1.0515, then buy a Down, Put or Low binary option struck at 1.0515 also for $100 with a 60% payout of $160 for the same expiration as the first option. At expiration, if the market is above 1.0515 or below 1.0500, one of the two options will pay off $160 while the other will expire worthless. This means a net $40 loss since $200 was paid to establish the position. Nevertheless, if the market ends up between 1.0500 and 1.0515, then you would earn $320 since both options would pay off $160. Yet another more modern strategy involves developing a proprietary trading algorithm or using a subscription based signal service that analyzes market conditions to determine when to buy binary options. Either of these methods can be used to give you trade suggestions. Market spread or gap trading strategies can also use binary options effectively. For example, when two assets are highly positively correlated, you can look for moments when one asset moves sharply but the other lags behind to create a temporary gap. At this point, you would buy a Call binary option on the weak asset and a Put binary option on the strong asset since you are expecting the gap to close. Putting together an effective forex trading system that employs binary options generally takes some time and effort. Some traders prefer to use binary options signals generated by a professional signal service they can subscribe to, while others prefer to create their own trading system. If you are going to create your own system, perhaps the easiest way to start is to base your binary option trading system on one you already use for trading currency pairs. A key component to successfully trading Binary Options is to be able to develop an accurate market view. For those who do not already have a currency trading system, they will first need to research how to perform fundamental and technical analysis and learn about various currency forecasting methods that forex traders use.